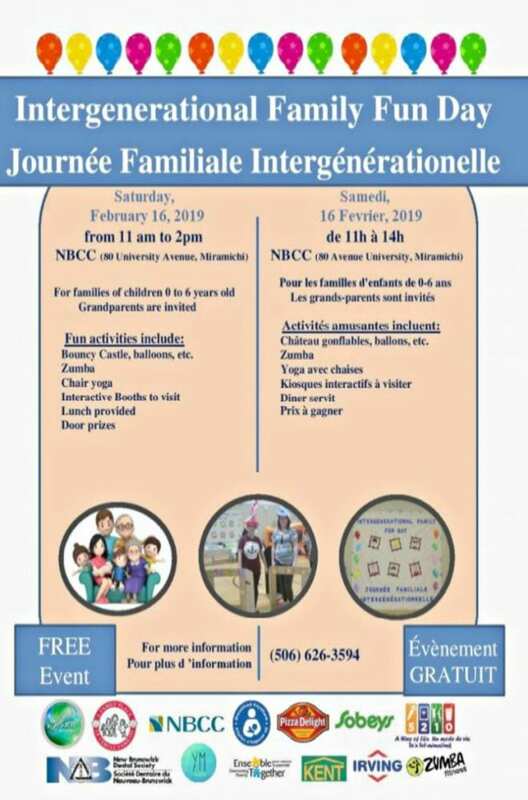 The Intergenerational Family Fun Day will be taking place on Saturday, February 16th, 2019 at the New Brunswick Community College – Miramichi Campus from 11:00 am to 2:00 pm. This event is open to families of Children 0 to 6 years of age, and Grandparents are invited to attend as well. This event is FREE admission, and for further information, contact Chanelle Melanson at 1-506-626-3594.